Over one billion people visit YouTube every month—that’s a lot of potential fans of your music. Operating your own Artist channel can expose your music to this global audience. Learn easy ways to customize your channel and 5 tips to help your music get discovered on YouTube. Your Artist channel is your music’s home on YouTube. Designing it well can help viewers understand who you are and what kind of music you make. (Don’t have a channel yet? Click here for step-by-step instructions.) Here are a few tips to customize your channel so that it reflects your style and branding. Channel name - Typically this is your name or your band’s name, unless your channel will be super genre-specific. For example, if you plan on uploading only vlogs on your channel, then consider naming it accordingly. Banner art - The image across the top of your channel that (usually) aligns with your band or Artist brand. Click here for information on image file sizes and guidelines. Tip: Refresh banner art to promote upcoming album releases or to time with your tours--this keeps fans excited. Channel icon - The image that visually represents your channel across YouTube. It’s a good idea to make it as recognizable as possible. Channel trailer - The video that sits prominently at the top of your channel’s home page. It’s common to put your most recent release or most popular video there. Featured channels - Channels highlighted along the right side of your channel. These resonate best when they are channels that are important to you--- Artists you like, are inspired by, tour with, or want to cross promote. Channel sections - A way to visually organize your videos on your channel. Consider naming them by a descriptive category such as ‘tour videos’ or ‘covers’. Operating your own YouTube channel allows you to express your creativity, connect with new and existing fans, and promote your music. Your channel should reflect you as an Artist. 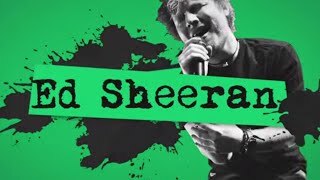 Ed Sheeran created a channel trailer to show his new fans what kind of videos he regularly uploads to his YouTube channel and encourage them to subscribe. Sam Tsui updates his banner and channel icon to advertise new releases. Help your music get heard more on YouTube and grow watch time, subscribers, and, ultimately, your music fanbase with a few easy tips. Take photos during your video shoot that you can use as thumbnails for your video. Thumbnails work best when they give enough info about a video so that fans can make a solid choice about whether to watch it or not. Tip: Thumbnails will appear really small on mobile so make sure they’re identifiable big and small. Learn more. Upload your highest quality audio! Video is just as important as audio and YouTube does its best to present your music in the richest format. Some regions have challenges with bandwidth, so we adapt output so the end user gets the best quality of audio and video. Tip: If uploading art tracks, we recommend that you upload audio to YouTube in uncompressed 24-bit wav files, as this will give us the maximum flexibility needed to present your work with as much fidelity as possible. After you upload a video, title your video and add a relevant description. Titles and descriptions help fans decide what to click on and help determine where your music surfaces in search results. Consider naming your video with the most searchable terms, like your name or band’s name and the track name first. Tips: distinguish between ‘official’, live, lyric, cover videos, etc. Video descriptions can describe your video and promote your tour, album, downloads, merch, and social media links. Drop videos into a playlist to encourage longer listening sessions. Playlists can help you organize videos, curate lists for your audience to listen to, and ultimately make content more accessible to listeners and viewers. Tip: Share a video’s playlist link when promoting on social media so that after the first song is over, fans automatically hear the next one from your channel. Add Cards to your videos. Cards are little notifications that you can program to pop on screen at specific moments to promote and link out to new releases, playlists, downloads, tours, merchandise, your website and more. Cards can help increase your sales by directly linking out to these sites. Additionally, you can poll your fans with Cards. Quick and easy things you can do to help your videos get discovered more often. Use relevant thumbnails and plan for them during your shoot. Record and upload as high quality audio as possible. Clear title and descriptions can help your videos be found. Putting videos in a playlist helps stretch out listening and watch sessions. Cards can help you promote other videos, merch, tour dates and more. 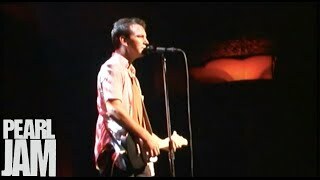 Pearl Jam’s video title, ‘Soon Forget - Live At The Showbox - Pearl Jam’ hits all the marks: it includes the title of the song, what type of video it is (live), where it was recorded, and who the band is. The video description contains relevant promotional information and links. 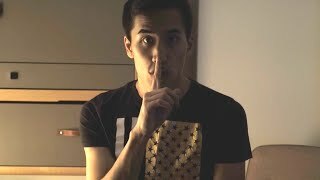 Andrew Huang uses a high contrast thumbnail for his song Nebulae that highlights a dramatic part of the video.